Pulitzer Prize winner Wallace Stegner recounts the remarkable career of Major John Wesley Powell, the distinguished ethnologist and geologist who explored the Colorado River, the Grand Canyon, and the homeland of the Southwest Indian tribes. 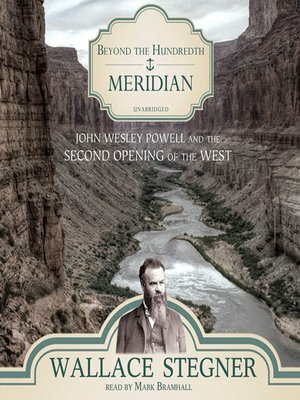 This classic work is a penetrating and insightful study of Powell's career, from the beginning of the Powell Survey, in which Powell and his men famously became the first to descend the Colorado River, to his eventual ouster from the Geological Survey. In masterful prose, Stegner details the expedition, as well as the philosophies and ideas that drove Powell. A prophet without honor who had a profound understanding of the American West, Powell warned long ago of the dangers economic exploitation would pose to the West—and he spent a good deal of his life battling Washington politics to get his message across. Only now may we recognize just how accurate a prophet he was.